I’d been meaning to go to Holborn and take a photo of this chap for years. This is my grandfathers regimental memorial, he was in the 1st RF (of which I have already posted plenty), I collect these things for some reason I can’t fathom. The memorial is a finely detailed Bronze by sculptor Albert Toft, 2.6 metres high on a large plinth, he’s a cracking looking chap. There are a few of these knocking about, not quite up there with Jagger and his sculptures where you can feel the pain; this one looks proud, surveying the sandwich eating crowds and lines of taxis from his vantage point above the pavement. He is just another traffic island castaway, stuck smack in the middle of the road just outside Chancery Lane tube in the middle of the broadway in a canyon of tall buildings, these fingers of concrete and shining fascia have grown up around him over the landscape the eyes of these lads would have known. 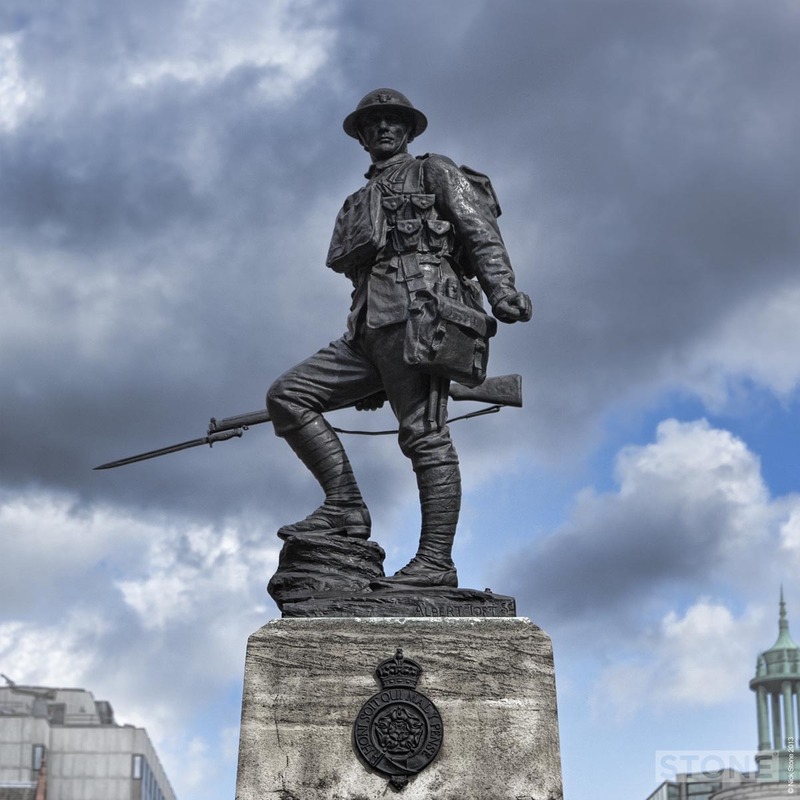 The figure is placed on top of a memorial plinth; 22,000 Royal Fusiliers and the London Regiment died in the Great War and this was for them. 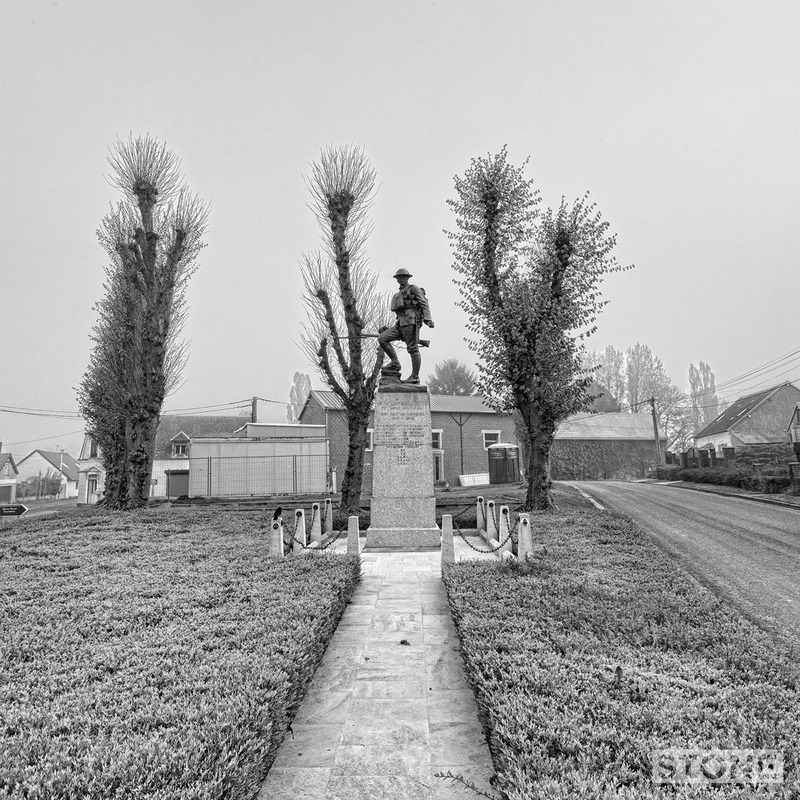 There’s an identical one who lives in the middle of the village on a little green in Flers, France (below), he is the 41st Division memorial, the final triplet is in Oldham where he stands above his bronze pals. I shot him from plenty of angles, all the time under the watchful gaze of the police across the road.